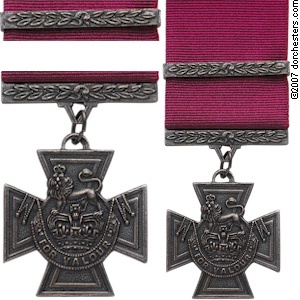 The Victoria Cross is the highest award for gallantry in battle for British and Commonwealth service personnel. It was introduced at the request of Queen Victoria in 1856 and it was her wish that it should be open to all ranks, not just officers. It is sparingly awarded for most conspicuous bravery or some daring or pre-eminent act of valour or self-sacrifice, or extreme devotion to duty in the presence of the enemy” It is usually presented to the recipient, or, in the case of a posthumous award, to a recipient’s family, by the monarch at a special ceremony at Buckingham Palace. To be awarded the VC is a singular honour, recognition of courage above and beyond the call of duty – so to receive it twice is the mark of something extra special, so special that it has only happened three times in just over 150 years. One such man was Arthur Martin-Leake (1874-1953) of Ware in Hertfordshire. He was a surgeon who volunteered to join the British army during the South African Wars. He was originally a trooper in the Imperial Yeomanry. After his year service was completed he stayed on in South Africa as a civil surgeon. A few months later he volunteered again, this time as a surgeon captain in the South African Constabulary attached to the 5th Field Ambulance. He won his first VC during an action at Vlakfontein, on the 8th February, 1902. Surgeon-Captain Martin-Leake went up to a wounded man, and attended to him under a heavy fire from about 40 Boers at 100 yards range. He then went to the assistance of a wounded Officer, and, whilst trying to place him in a comfortable position, was shot three times, but would not give in till he rolled over thoroughly exhausted. All the eight men at this point were wounded, and while they were lying on the Veldt, Surgeon-Captain Martin-Leake refused water till every one else had been served. In 1903 he left the army to work as a medical officer with a railway company in India but in 1912 he volunteered for the British Red Cross in Montenegro during the Balkan War and was awarded a medal by the Red Cross of Montenegro for his efforts. He returned to India but in 1914 he volunteered once more for the British Army, this time with the Royal Army Medical Corps in Belgium. 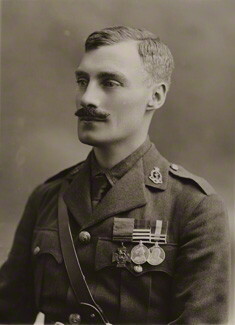 Within a few weeks he won a bar to his original VC for most conspicuous bravery and devotion to duty throughout the campaign, especially during the period 29th October to 8th November, 1914, near Zonnebeke, in rescuing, whilst exposed to constant fire, a large number of the wounded who were lying close to the enemy’s trenches. Later in the war he commanded a Field Ambulance unit and then a Casualty Clearing Station where he was once again commended for his conduct during action. After the war he returned to his job in India until 1937 when he retired to his home in Hertfordshire but at the outbreak of WW2 he commanded a local ARP unit which was charged with organising safety and security during air raids. He died in 1953 of lung cancer and his ashes are buried at the Church of St. John the Evangelist, High Cross, Near Ware, Hertfordshire. Comments Off on On November 11th Remember The Price…. 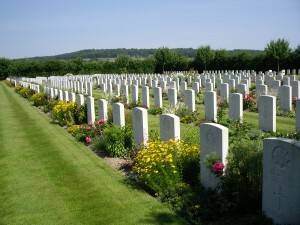 On November 11th Remember The Price…. Millions of people across the UK have observed a two-minute silence to mark Armistice Day. Starting at 11:00 GMT, the event mirrors the time guns along the western front fell silent for a final time at the end of World War I in 1918. The ceremony also remembers those who died in two world wars and later conflicts, including 385 UK personnel killed in Afghanistan since 2001. Throughout history I would guess the soldier’s response to the dark terror of war has been a sense of humour, often even in the grimmest of situations. One of the most famous cartoons ever drawn was created by Bruce Bairnsfather, a British artist who fought in the trenches on the Western Front. 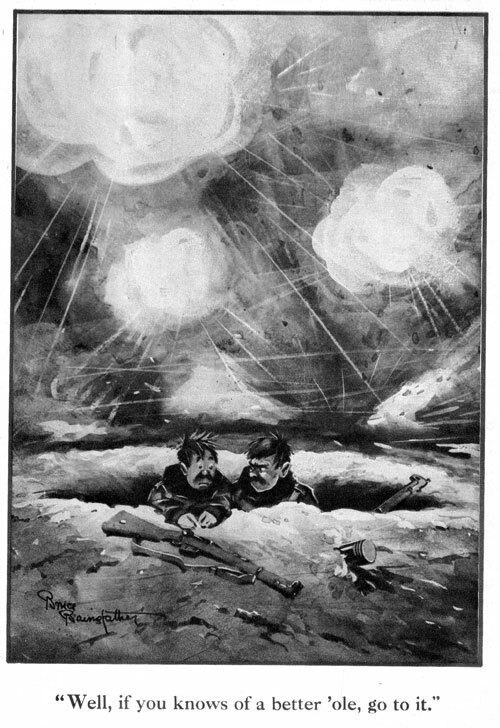 As an antidote to the “patriotic” sketches made by the staff artists in the London magazines, who had no experience of war, Bairnsfather’s observations of everyday life in the trenches became very popular with the soldiers themselves and this one, with it’s grim humour became the stuff of legend. The descendants of those WW1 “old sweats” are now British squaddies serving in Afghanistan with the ever present shadow of the hidden bomb and the silent sniper. So, to blunt the edge of concern about what the next hours might bring, they use humour to alleviate the daily routine.